Represented by the Christian Legal Centre, the Aberdeen Life Ethics Society filed suit in Aberdeen Sheriff Court against both the AUSA and the University of Aberdeen, asking the court to declare that AUSA's policy of de-platforming pro-life student societies is incompatible with existing Equality and Human Rights law and constitutes discrimination under the Equality Act 2010 and the Human Rights Act 1998. It further asks the court to recommend that the society be affiliated to the students' association, complete with the benefits and privileges that other societies enjoy. 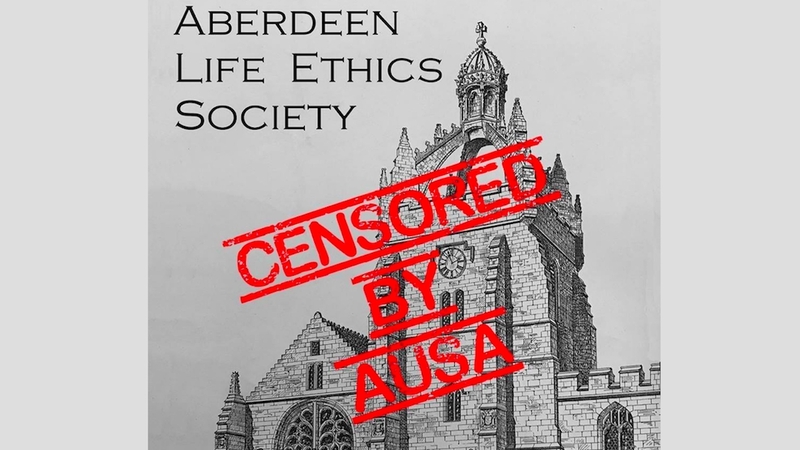 Aberdeen Life Ethics Society described the AUSA’s ‘no platforming policy’ as a "naked showing of aggression to any viewpoint that dissents from their pro-abortion world view" in court documents filed on April 12th. It argued that the 'no platform policy' is intolerant against specific viewpoints on campus as it denies particular groups the right to speak at union events or property. AUSA holds several official pro-abortion policies. These include the policy to campaign for abortion extension into Northern Ireland and for abortion provisions including the morning after pill to remain free on the NHS. Without official affiliation, Aberdeen Life Ethics Society cannot enjoy the benefits of other affiliated groups including the use of campus facilities, a presence at freshers week, or the right to apply for financial grants. The challenge by Aberdeen Life Ethics Society comes shortly after a tide of victories for other Scottish pro-life groups. In March of 2019, Glasgow Students’ Union was forced to admit that refusing university pro-life group, Glasgow Life Society, permission to affiliate was a breach of equality law and discriminated against pro-life students. Similarly, in 2018, Strathclyde University pro-life group, Strathclyde Students for Life, won their right to officially affiliate after challenging the universities ‘no platform’ policy.